Last week's blueberry rum smash got me thinking about this cocktail I made last summer. It clearly needs a better name, but boy was it good. What can I say? I like fizzy drinks. There is something about them that screams warm weather and I like that, especially as the forecast today is calling for snow. 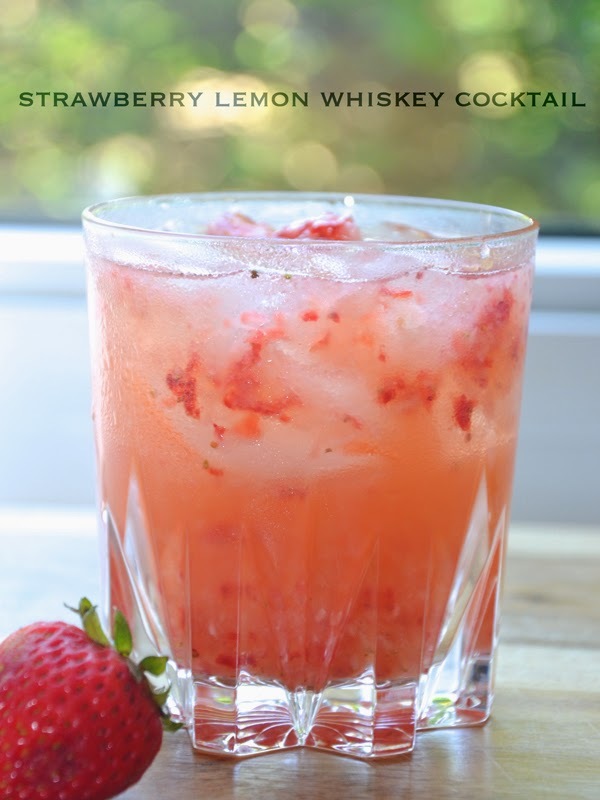 On that note, I am re-sharing this recipe for what is essentially summer in a glass. Fingers crossed it comes soon. 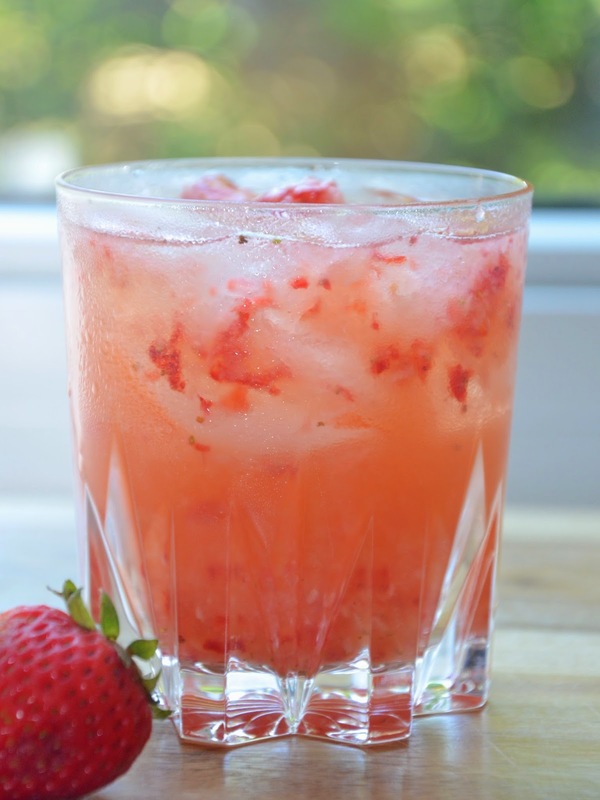 Puree the strawberries then pour into a large glass, or shaker. Add lemon juice, sugar, whiskey. Stir until sugar is dissolved, pour over ice, and top with soda water. And as for blog things, I'm planning to be back to regularly scheduled programming next week. This one has been mad what with the start of the NCAA tournament and all. I just have to get through the next ten seconds, and then the next ten after that. Brownie points if you get that reference. Such a yummy summer cocktail! YUMMM! That looks so delicious! This looks so yummy I love stawberry.